McDonald's Wanted a Super Bowl Spot. We gave them something much more. 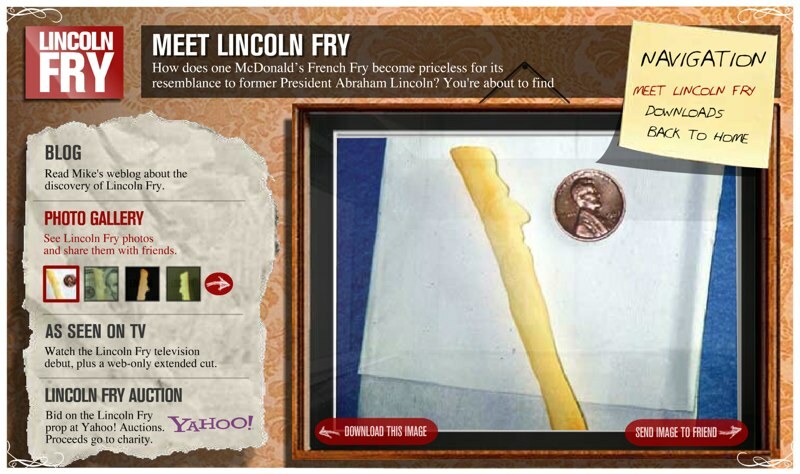 Our "Lincoln Fry" idea, inspired by the "Virgin Mary Grilled Cheese" phenomenon, consisted of a commercial, a blog, a website and even an online auction. At the end of it all, the fry was sold for $75,000 and the proceeds went to the Ronald McDonald House Charities. Yahoo Big Idea, and London International. Jimmy Kimmel had to comment on our commercial.